Kiesel Law LLP, along with other members of the leadership counsel, is proud to announce the successful negotiation of a settlement program to resolve all remaining eligible metal-on-metal claims pending against Wright Medical. This settlement program will involve over 600 eligible metal-on-metal revised hip claims currently pending in the MDL, in the JCCP, and on tolling agreements. This follows the first phase of 1,300 claims settled against Wright Medical regarding metal-on-metal hip implant patient-claimants in 2016. Due to Wright’s financial situation, values will be discounted from the first settlement but will include standard awards as well as an Enhanced Injury Fund (EIF) to supplement more significant injuries. When completed, the only remaining claims will be ineligible claims which should be remanded by the court, non-revised claims to be dismissed by the court under a tolling agreement, and claims to be remanded by the court as settlement opt-outs. 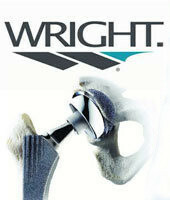 The total amount of the Wright Medical metal-on-metal settlements is over $340 million.